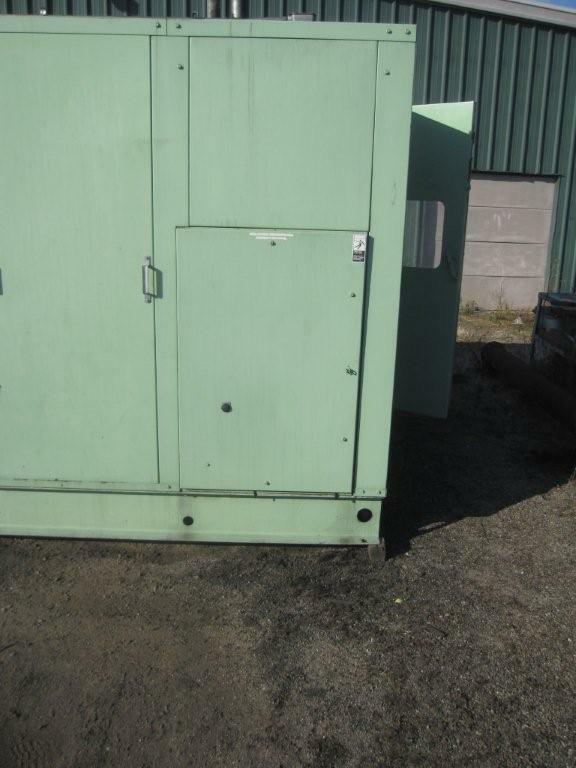 Air Compressor Exchange - Search Our Up To Date Listings of Used Air Compressors and Air Dryers. 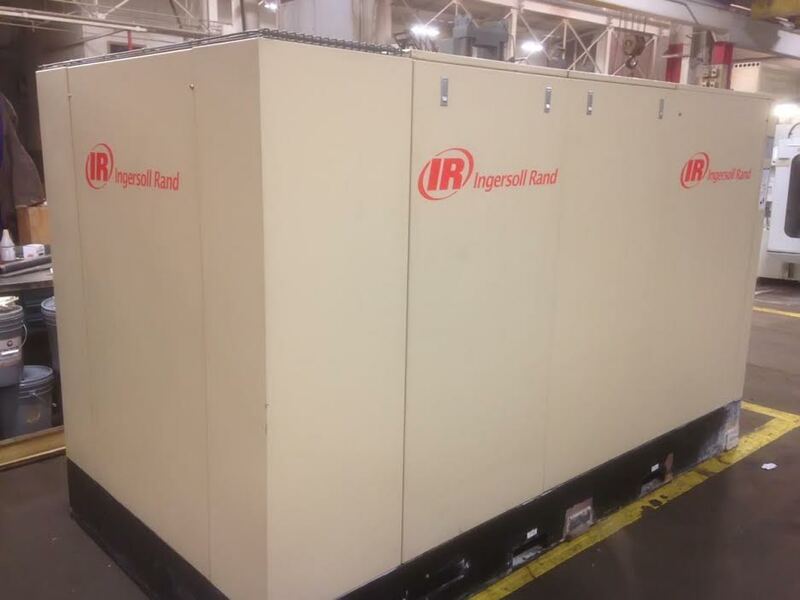 Ingersoll Rand 150HP LOW HOURS!!!! With Air Compressor Exchange’s toll-free number of 1-419-661-9568, you can call with any questions you have, you can place an order, order filters or other maintenance items for your air compressor, air dryer, air filters or oil filters. You can also order PM kits for your air dryer. AirCompressorExchange also has some exciting news! You, our customer, can shop for all of your air compressor preventative maintenance needs on line! We have air filters, oil filters, separators and coalescing filters listed for all brands of air compressors. We will include cross-over lists and if you have questions, you will be able to call ACx on our toll-free telephone line and get live help Monday through Friday, 8:00 AM – 5:00 PM Eastern Standard Time. ACx also has low, low prices on high-quality air compressor lubricants for all brands of air compressors! Call us toll-free at 1-419-661-9568 and give us the make and model number of your compressor and we can recommend the appropriate oil for your machine. 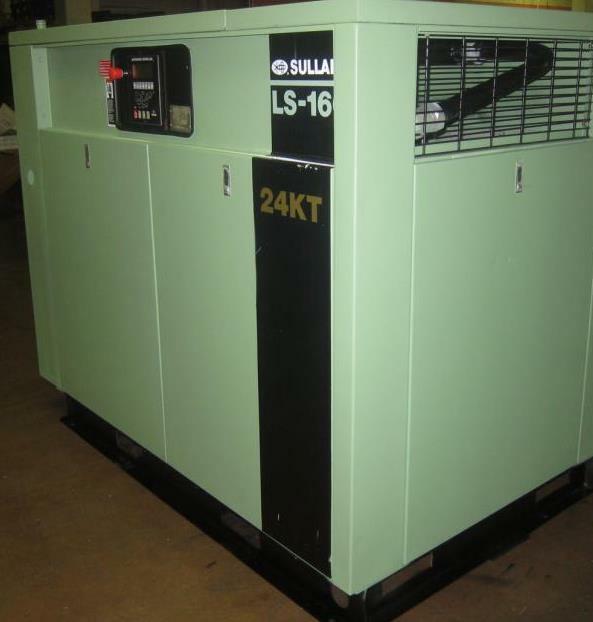 Air Compressor Exchange carries the following types of oil. Call ACx and we will match your air compressor, vacuum pump, blower and air tools with the correct oil or lubricant to maximize its life. Air Compressor Exchange is a company dedicated to selling only quality used and new air compressors and related equipment. We offer both manufacturers’ warranties as well as ACx’s own warranty on equipment we sell. 10 Things You Need to Know About Air & Air Compressors! 1. Compressed air is your most expensive utility! It’s true, dollar per dollar, cubic foot per cubic foot, compressed air is very expensive. What’s equally true though is that compressed air is found in over 99% of manufacturing plants. Why? Well, air does some jobs better than any other method. The trick (actually no trick at all) is to make your air supply as efficient as possible and your air usage as frugal as possible. This is where Air Compressor Exchange comes in. ACx can help you many ways. ACx can help you choose the best equipment for your operation. Remember, too big is as bad as too small. (Click Here) to see a complete listing of the products we carry. ACx can perform In-Plant Air Audits. An Air Audit is where we look at every aspect of compressed air. From production to use and the lines in-between. Remember, the initial visit is to determine if our service will benefit you and it is free! We have literally saved our customers hundreds of thousands of dollarsper year when performing Air Audits. Contact AirCompressorExchange and see if one is right for you! Air Compressor Exchange has products to utilize compressed air in efficient ways you may have never considered. Air Compressor Exchange can help you design a complete air system that uses an efficient variable speed air compressor as well as state-of-the-art piping and fittings that can be installed and modified in a fraction of the time of conventional black iron pipe. We can even take care of the installation if you want us to! ACx can repair and warrant your existing equipment. We offer both on-site and off-site repair and rebuilding services to keep your equipment operating at maximum efficiency! 2. The cheapest air compressor is not always the cheapest air compressor! Huh? Think about it. If you are a small commercial user or a serious home user using one of the popular piston type (reciprocating) compressors, can you afford to be without compressed air? No! Well, when you use the big box compressors, you are getting, at best, a compressor intended for part-time or intermittent use. If you need your air compressor running all day, you simply won’t get the life out of your compressor that you deserve. You will save money in the long run by purchasing a quality built air compressor from the start. You will save money on repair costs as maintenance will be less but you will also save money on electrical costs. If don’t believe this, consider that a quality air compressor produces more air per horsepower. This means that it will run less often using less electricity. In addition, this efficiency further extends the life of the air compressor. Also, know your compressor! There are myriad brands of compressors out there. Some have electronic controls others, mechanical. Take the time to know what YOUR compressor requires in the way of maintenance AND proper adjustment. This will increase efficiency and therefore, lifespan. 4. Refrigerant Air Dryers are NOT the only type of air dryer available. There are two other types or air dryers commonly seen, desiccant air dryers and deliquescent air dryers. They each have their use. The big question that dictates the type of dryer you need is where you will be using your air. In a heated plant? In an unheated plant or warehouse? Do the lines run outside between buildings? Depending on the answers to these questions, you may actually need one of the other types of dryers. Desiccant dryers can dry air in extremely cold environments as well as any environment that “defeats” the drying ability of a refrigerant dryer. Deliquescent dryers have some of the same attributes of the desiccant dryers (and at a lower cost!) but they unfortunately, are messy to use. In a deliquescent dryer, the drying agent, urea, is consumed in the drying process and can end up clogging things up downstream. It is for this reason that deliquescent dryers are rather uncommon and ACx will not sell them. If you have questions about which dryer type will serve you best, please contact ACx. We will be happy to assist you in choosing the dryer right for you. 5. All Air Compressors condense water as a by-product. 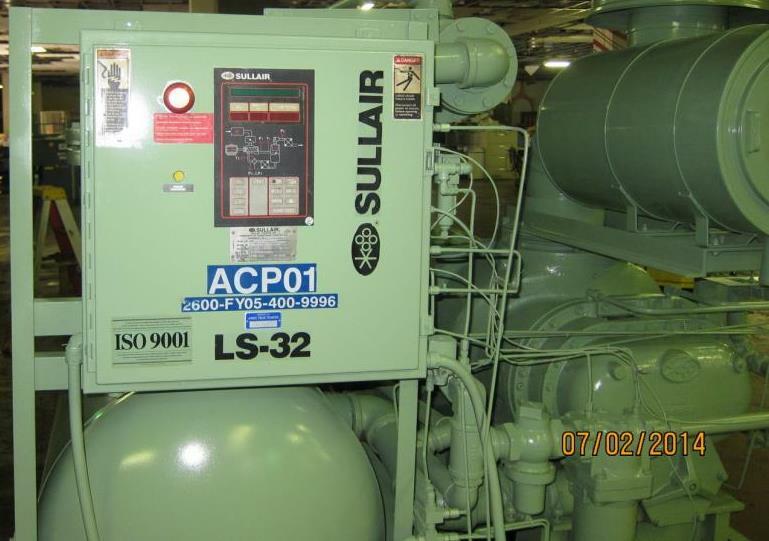 Why air compressors put out water is a common question. The answer is actually rather simple. Air always has a certain amount of water (actually water vapor) in it. This is what the weather person calls relative humidity. In the simplest terms, as air is compressed into a smaller volume, it has less and less ability to hold this water vapor (a gas). Since the water vapor has nowhere else to go, it condenses and forms liquid water. This liquid water must be dealt with. This is why a properly designed air system has automatic drains that empty accumulated water periodically and the appropriate type of air dryer (see #4 above). Now, if you think you have a properly designed system and you still have a water problem, this is an entirely different matter. There can be many causes for this issue. We suggest that if you are experiencing water problems you contact Air Compressor Exchange and let our diagnostic team help you solve the problem. Add the air usage of each piece of equipment. This can include air tools, blow-offs, pneumatic controls, air motors, air pumps, air cylinders etc. Next determine which of these operate simultaneously or in which combinations they operate. The largest number in these various combinations is your base usage. (For example, you may have 5 pneumatic tools that each consumes 3.5 cfm of compressed air but you only use 1 or 2 at any given time. This means your base usage is 7 cfm NOT 17 ½ cfm. Quite a difference! Now, this is a very simple example but the principle applies to all situations even though the components may be different). Will other tools or equipment sometimes operate at the same time? Will I be hiring someone who may require additional air at his or her workstation? Will I be buying additional or replacement equipment that will require more air? Given the above considerations, do you need to add a little more capacity for growth? Last, you need a little extra capacity to avoid overworking the compressor. This is important in the case or the smaller piston type compressors that are intended for start-stop operation. They do not have the cooling capacity to run continuously. Of the more common industrial compressors, Rotary screw compressors are generally the quietest with vane compressors coming in a close second and as you may imagine, the smaller the unit, the quieter (usually). The real question though is how quiet do you really need your air compressor? Many people will put the compressor in its own room or purchase one with an approved enclosure. Either way (or both) can cut noise significantly, if not drastically. Just remember that if you put the compressor in a separate building, youmay need to use a desiccant dryer to get all the moisture out. Your refrigerant dryer may not be up to the task. Be careful about unapproved sound proof enclosures. 8. Know your terms! CFM, ACFM and SCFM do not mean the same thing! No joke, while these acronyms, which stand for Cubic Feet per Minute, Actual Cubic Feet per Minute and Standard Cubic Feet per Minute respectively, sound almost the same, they have slight but important differences in meaning. To make matters worse, you might hear something called, ICFM. This stands for Inlet Cubic Feet per Minute. We are all used to saying and thinking CFM but engineers, being who they are like to complicate things! Actually, while these terms do have specific meanings, CFM, ACFM and ICFM are close enough in meaning that we can ignore the differences for this discussion. They essentially describe the volume of air that enters the compressor at the inlet valve. The term to be aware of is SCFM. SCFM or Standard Cubic Feet per Minute give us a way to compare air volume using a standard reference that takes temperature, atmospheric pressure and relative humidity into account. In this case, the most common reference “benchmarks” are: 14.7 PSIA, 68 Deg. F and 36% relative humidity. So, how does this affect you? Well, if you purchase a machine that has a capacity of 450 ACFM and your process (s) require a minimum flow of 450 SCFM; you may not have sufficient air if your conditions deviate very far form the aforementioned standard. Examples might be a mining operation in the mountains. Cold, dry mountain air; cool mine shafts, lower pressure due to altitude can combine to force you to “de-rate” a compressor’s output quite a bit. We recently talked with an export company who planned to send several compressors to South America. Given all the parameters just discussed, the customer actually needed compressors rated at 3500 ACFM just to produce the 2200 SCFM required! You’re probably asking yourself, “That’s all well and good but I live in Central Ohio. Will this affect me?” The answer is a definite, maybe! There is a long, fairly complicated equation to take all atmospheric effects into account but rather than reprint it here, simply realize that if your company’s machinery and processes require 450 ACFM, you need a machine that provides a bit more to account for the changes in weather. How much more? If you’re unsure, please call or email ACx. 9. Changing oil in your air compressor is not the same as changing oil in your car! Compressor oils are ultra refined and expected to do a superior job over a long period of time. Mixing various formulations can cause you a lot of trouble. This is because as the oils mix, the chemical compounds interact and coagulate. This forms a slime that will clog control lines and cause your machine, usually, to overheat and shutdown in a self protection mode. While this usually causes no permanent damage, it creates a mess that is time-consuming and expensive to clean not to mention the cost of the replacement oil! The moral here is that if you really want to upgrade your oil, realize that the procedure to do so, while expensive, is very necessary. If you purchase a used machine and are unsure of the composition of the oil, take heart. Air Compressor Exchange can analyze your oil and determine not only the exact composition but the current state (health) of the oil and whether or not the there are metals in the oil (this determines the state of the rotating metal part such as bearings). The cost for this service is reasonable so there really is no reason not to do it on a quarterly basis. We recommend you perform this along with quarterly maintenance. 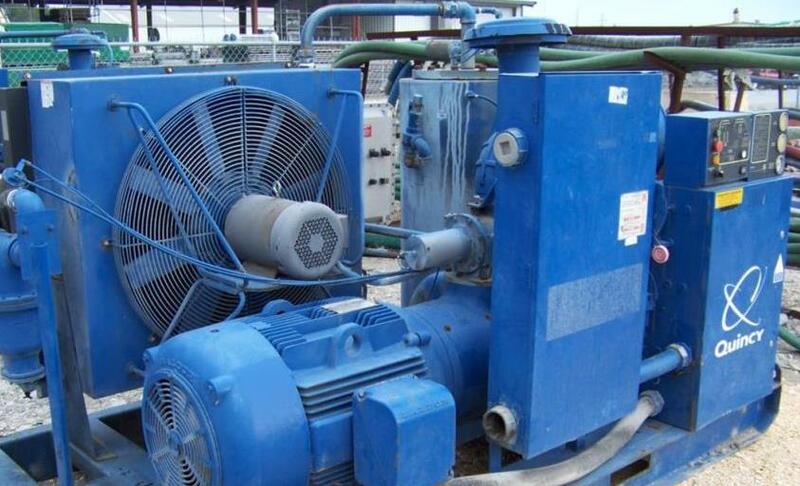 Call AirCompressorExchange to discuss this important aspect of air compressor maintenance. 10. Not all filters are created equal! This is true. If you are offered the choice of regular and premium filters, you can be assured that there is a difference. The differences have to do with construction. So what? Well, the better filters will have more surface area to trap whatever the filter is designed to trap for starters. In addition, the better filters will cause a lower pressure drop across them. This results in higher efficiency and more air at the business end. Last, there is less oil carryover. Oil carryover is expensive when you consider the price of compressor oil. Once again, use the best filters you can and change them at regular intervals. It will pay dividends down the road. If you need to know if your compressor has premium filters available, contact ACx. There you have it. Follow these guidelines and you will have a good start on determining your compressed air needs. If you have an unusual situation and still have questions, please contact ACx. Buy, Sell or Rent New, Used and Reconditioned Equipment - Fast!